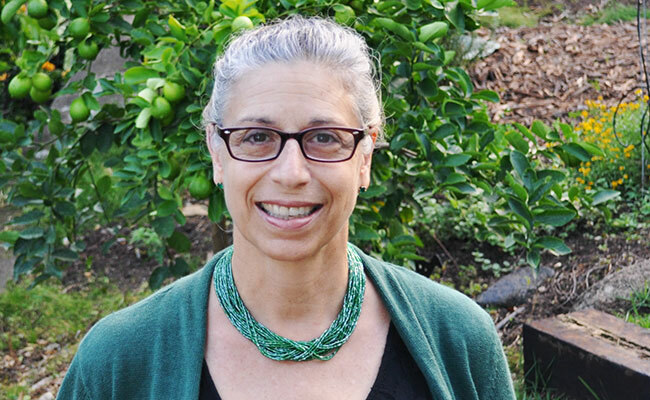 Dr. Catherine (Kitty) Courtney has more than 25 years of international and domestic experience in marine and coastal management, climate change adaptation, and coastal community resilience. She has worked for Tetra Tech since 1990 and has supported federal and state agencies, nongovernmental organizations, and private companies on projects to design, implement, and administer coastal resource management and marine environmental research programs in temperate and tropical ecosystems throughout the Pacific. Dr. Courtney served as the Chief of Party of Tetra Tech’s Coastal Resource Management Project funded by the U.S. Agency for International Development (USAID) and as Senior Advisor on other international projects such as the Fisheries Improved for Sustainable Harvests (FISH) Project, the U.S. Indian Ocean Tsunami Warning System Program, and the U.S. Coral Triangle Initiative Support Program. You’ve worked on everything from coastal resource management to climate change adaptation. How has your job evolved? I first started thinking about climate change in the early 1980s when I was a graduate student working on my doctorate in Oceanography at the University of Hawaii. I conducted the first microcosm experiments, showing that ocean acidification decreased the growth of tropical coralline algae. This is when the atmospheric CO2 concentration had reached 335 parts per million (ppm). However, the climate discussion didn’t shape my work until much later. I had many other human-induced issues to work on, such as release of hazardous waste and radioactive contaminants into the marine environment, deep ocean disposal of dredged materials, and overexploitation of marine resources. The devastating 2004 Indian Ocean Tsunami emphasized the importance of healthy coastal resources such as reefs and mangroves to resilient coastal communities. My work on the U.S. Indian Ocean Tsunami Warning System Program looked at what made coastal communities resilient to natural hazards and how to build community resilience. At Tetra Tech, I have been fortunate to be involved with a continuing series of projects on coastal resource management that has enabled me to integrate consideration of natural hazards and climate-related threats. Considering climate change has shifted the planning horizon to thinking in terms of future projections and scenarios and not just relying on historical trends and records. Climate change adaptation really involves adjusting to the expected changes that we’re seeing, both in natural and human systems. Generally, people talk about three types of adaptation—reactive, maladaptation, and planned. Planned adaptation helps communities anticipate changes to minimize impacts and increase their resilience to social and ecological issues. Why is climate change adaptation a priority in the Coral Triangle? Coastal communities in the Pacific are bearing the brunt of climate change impacts from severe storms, coastal inundation, and coral bleaching. I’ve worked in many of these communities that inhabit small low lying islands and coastal areas. Coastal communities in rural areas are highly dependent on marine resources for food security and livelihood, so they can’t just move inland. They are also among the most vulnerable to natural hazards and climate change impacts. We have been working with USAID for the past five years on The Coral Triangle Initiative, or CTI. The Coral Triangle is an actual geographic area of 6 million square miles in the western Pacific. This roughly triangular-shaped region hosts the highest biodiversity of corals in the world. We often call it the Amazon of the Seas. CTI is a regional effort of six coral triangle countries—Indonesia, Malaysia, Papua New Guinea, Philippines, Solomon Islands, and Timor-Leste—to improve management of marine resources and adapt to climate change. A fundamental strategy to address climate change is to establish and strengthen marine and coastal management in these island countries. I’ve been supporting the CTI to develop regional policy called the CTI Region-wide Early Action Plan for Climate Change Adaptation and building local capacity by organizing regional exchanges, conducting training on climate change adaptation, and developing practical tools such as the Change Adaptation for Coral Triangle Communities: A guide for vulnerability assessment and local early action planning. Once you put on your “climate lens,” it’s hard to take it off. Our work internationally has helped us provide value-added services to our clients in the U.S. I developed a national training course on climate change for coastal planners in the U.S. for the National Oceanic and Atmospheric Administration. We’ve been helping our clients consider climate change in the design of new infrastructure and planning of water and other natural resources.